Basic dancers: Fridays – May 25, June 15, July 13, Aug 10 and Sept 14. 7:30-9:30pm Cost: $7.50 pp. Wayne Whatman is the caller for May and June; Dave Hutchinson for July; Wayne Hall for August and Laird Green for September. Mainstream Dancers: All of the previous dates but you can also attend the Saturday night dances which will be mainstream and plus dancing. Dates: May 26, June 16, July 14, Aug 11, Sept 15. Cost: $10pp for both Fri and Sat nights or $7.50 for a single night. Otonabee Squares is hosting a basic booster workshop for new dancers! If you would like to review what you have learned so far and learn some new moves come have some fun we us on Sunday, September 30th from 2:00pm until 4:30pm. This week has been proclaimed Square Dance Week in Peterborough by the mayor of the city. This is in part to celebrate the 50th annual Spring Spree which is happening this Saturday April 21st. The dance will be held at Crestwood Secondary School and there will be afternoon and evening sessions from 2:00p m- 5:00pm and 7:00 – 10:30pm, followed by an evening snack. 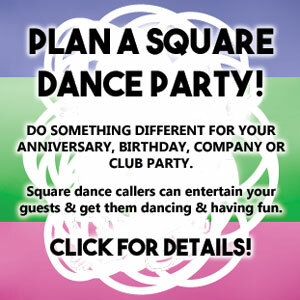 This dance is hosted by Lift Lock Squares and will feature several different callers and all levels of dancing. For more details visit our dance page or view the flyer. PS – check out the photos from last year’s Spring Spree on our photo page! NO EXPERIENCE REQUIRED – BRING FAMILY; FRIENDS, NEIGHBOURS!